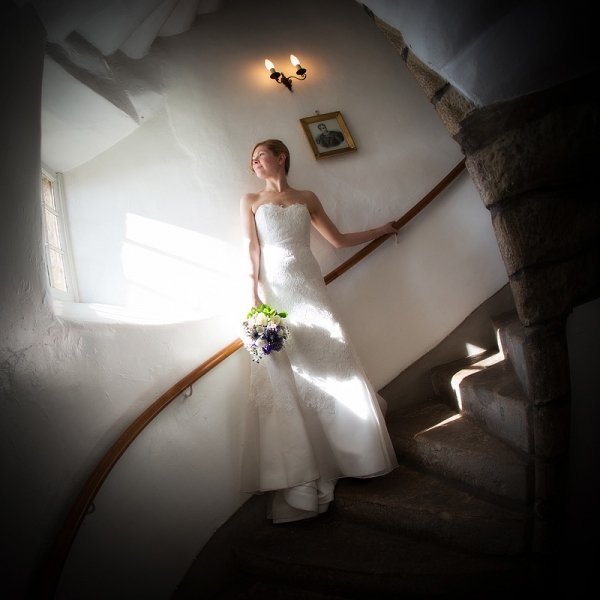 If you are looking for a unique setting in an authentic castle, steeped in history, with personal service and attention to detail, Traquair is the ideal setting for the most important day of your life. 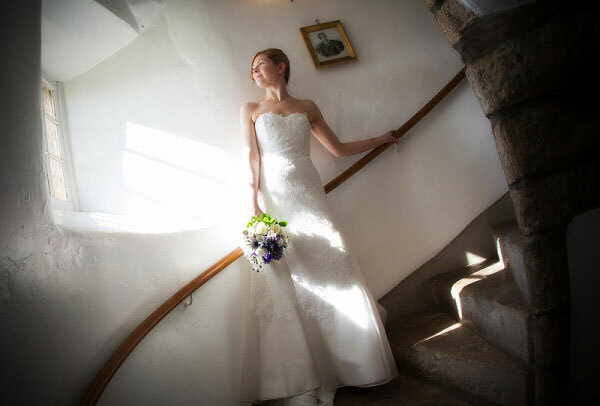 With the castle's own Catholic chapel and a licence for civil ceremonies, you can be married in the house or in some of the magical areas of the grounds, such as the Cupid's Garden, Traquair Maze and The Yew Tree Circle. 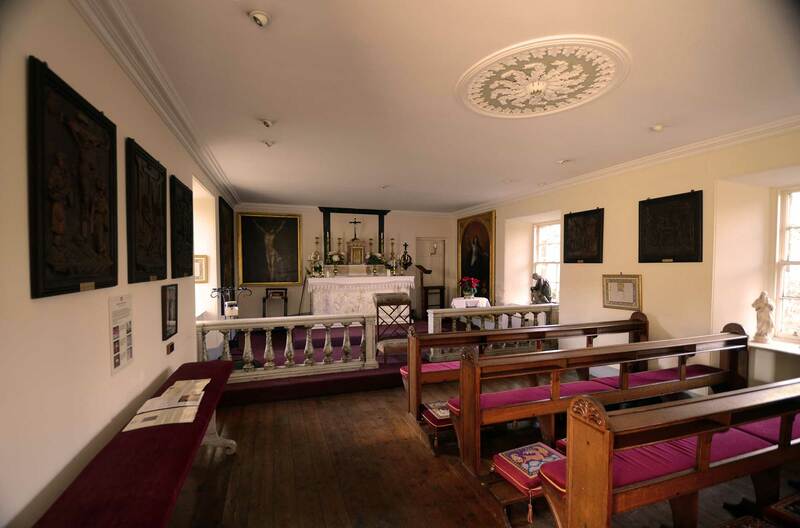 Please note that the chapel at Traquair cannot be used for registry weddings. Within the main building, The Still Room is bright and friendly, and is perfect for very small wedding meals, for up to 8 people. The stunning 17th century Drawing Room on the first floor can take up to 50 people for a stand-up drinks reception and, if your party is fewer than 30, dancing for guests can be arranged on a small scale; this is a perfect room to have drinks before and after dinner. The Cottage Restaurant may also be used for a more informal gathering in the evening, holding up to 50 guests, with some space for dancing. For large weddings for 50 or more people, a marquee can be assembled on the lawn. Marquees can be as luxurious or as simple as you like, and are a great option if you are looking for music and dancing through the night. The castle staff are happy to provide assistance in finding a local minister or priest; civil ceremonies must be arranged through the local registry office in Peebles. The team at the castle are alway delighted to quote and provide details for recommended suppliers. - Bottle of sparkling house wine - Cuvee Catherine. The Chapel dates back to 1829, after the Catholic Emancipation Act had been passed. Wedding groups are able to use the Chapel for a service. 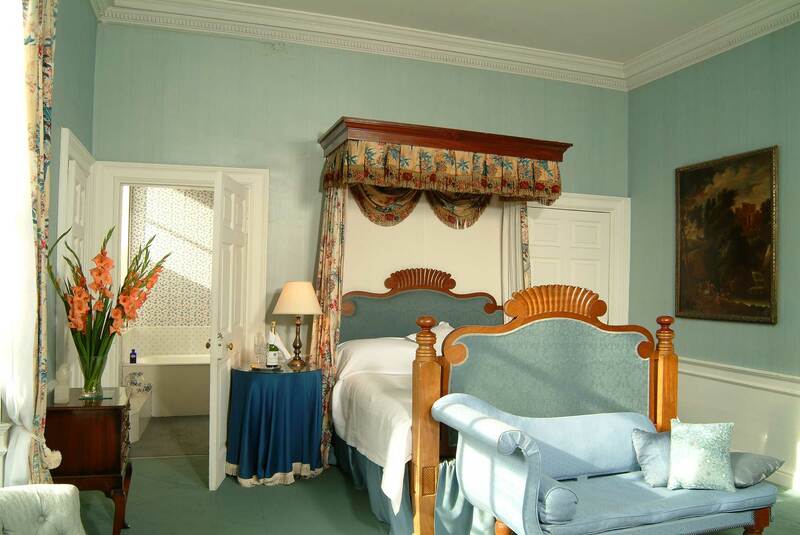 There are three luxurious rooms in the house, which are all available on a bed and breakfast basis for wedding parties. See the Accommodation page.